Stainless steel circular water spray ring for beautiful water effects for outdoor or indoor fountains or pools. 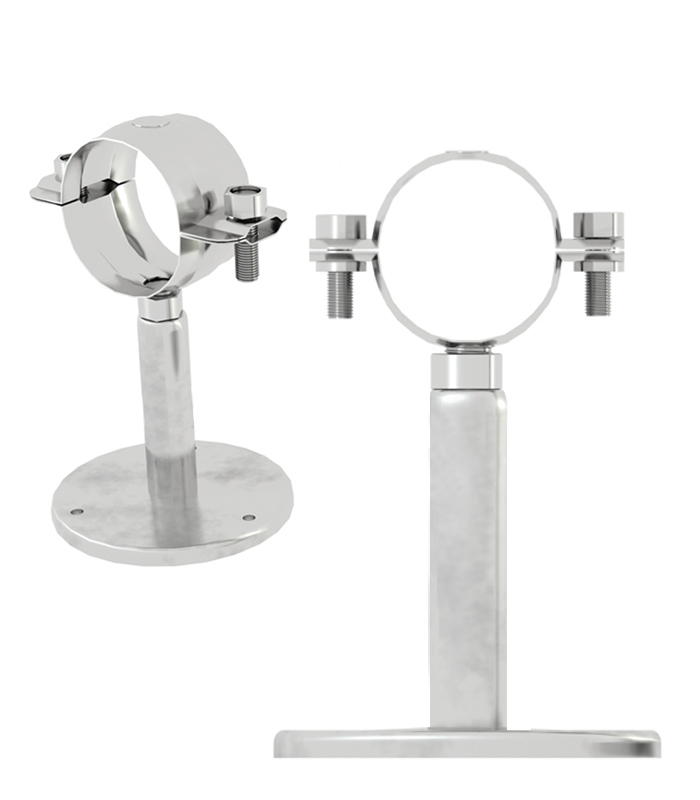 Features stainless steel construction, 31 precision crafted nozzles and 96 inch diameter ring. Stainless steel circular water spray ring for beautiful water effects for outdoor or indoor fountains or pools. Features stainless steel construction, 30 precision crafted nozzles and 84 inch diameter ring. 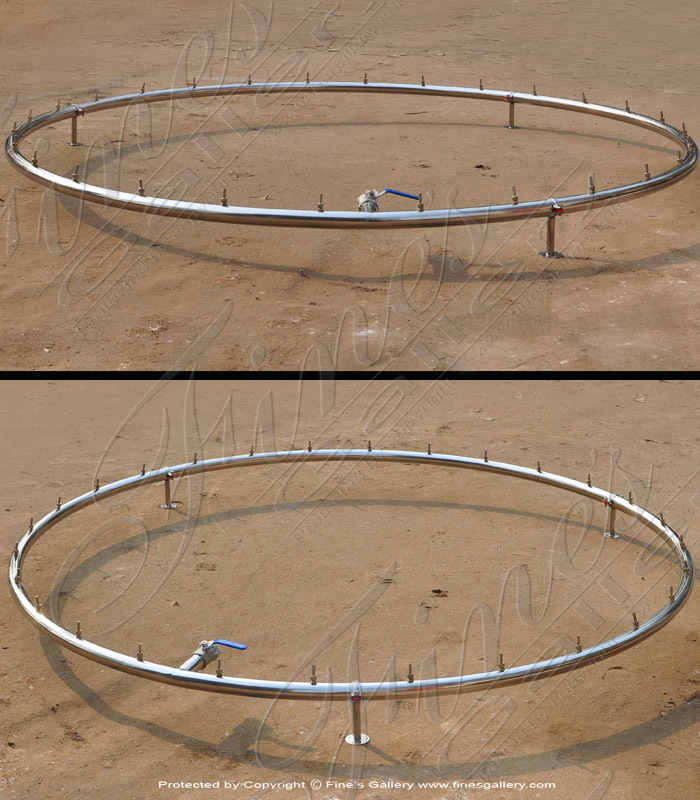 Stainless steel circular water spray ring for beautiful water effects for outdoor or indoor fountains or pools. Features stainless steel construction, 25 precision crafted nozzles and 60 inch diameter ring. Stainless steel circular water spray ring for beautiful water effects for outdoor or indoor fountains or pools. Features stainless steel construction, 23 precision crafted nozzles and 48 inch diameter ring. 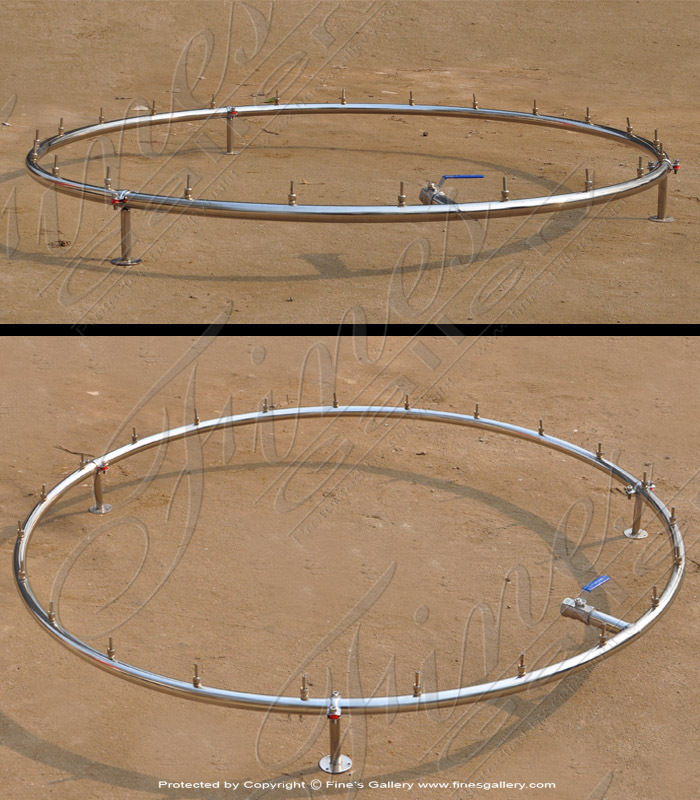 Stainless steel circular water spray ring for beautiful water effects for outdoor or indoor fountains or pools. Features stainless steel construction, 19 precision crafted nozzles and 36 inch diameter ring. 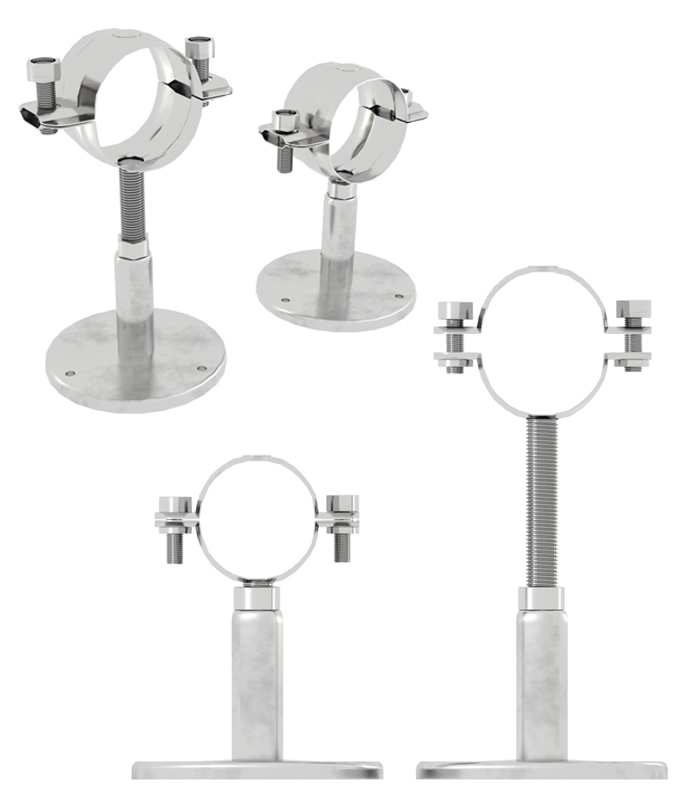 Stainless Steel non-adjustable 2 inch riser for standard 1.5 inch water-ring. If you require additional information for this product please call 1-866-860-1710 and talk with a sales representative at anytime. 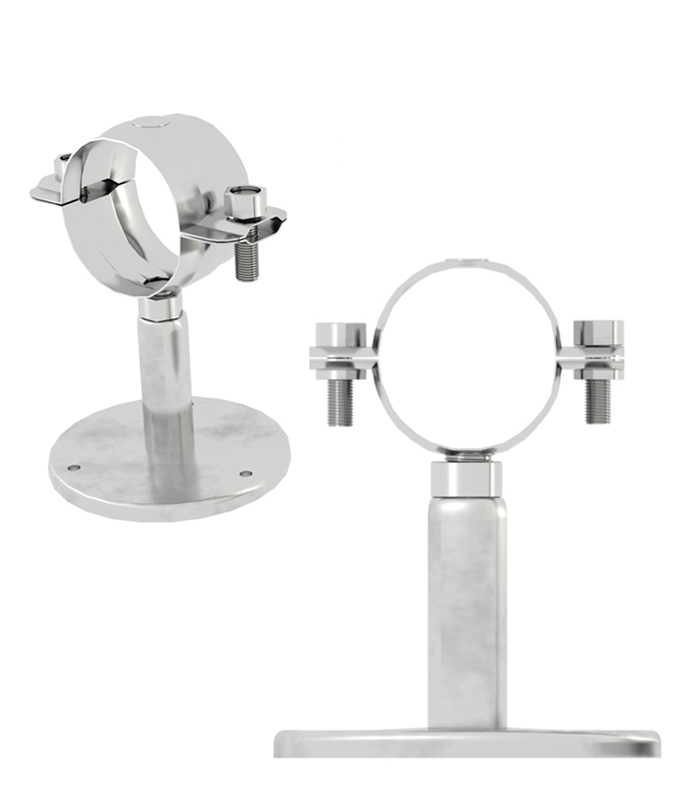 Stainless steel riser adjustable from 4 to 6 inch. If you require additional information for this product please call 1-866-860-1710 and talk with a sales representative at anytime. 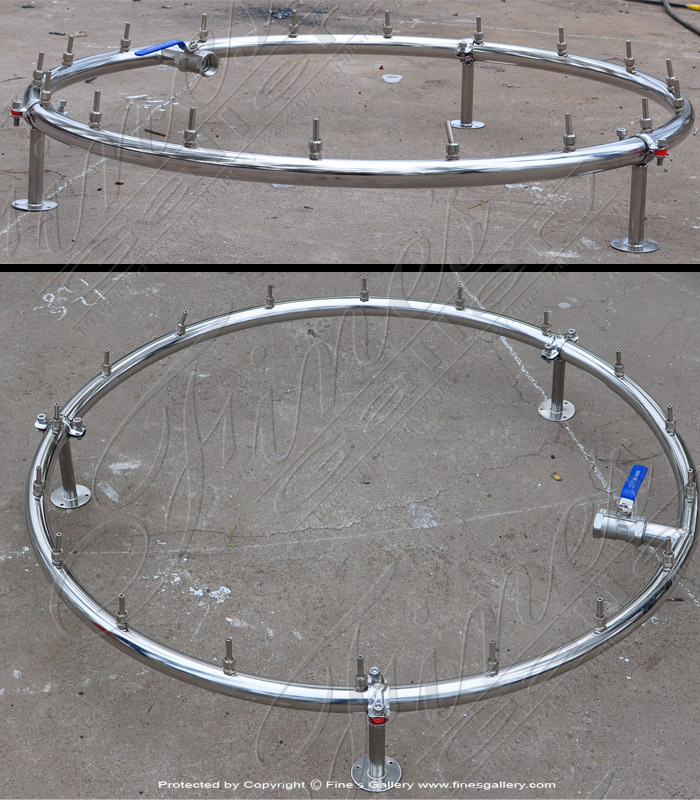 Stainless steel circular water spray ring for beautiful water effects for outdoor or indoor fountains or pools. Features stainless steel construction, 69 precision crafted nozzles and 216 inch diameter ring. 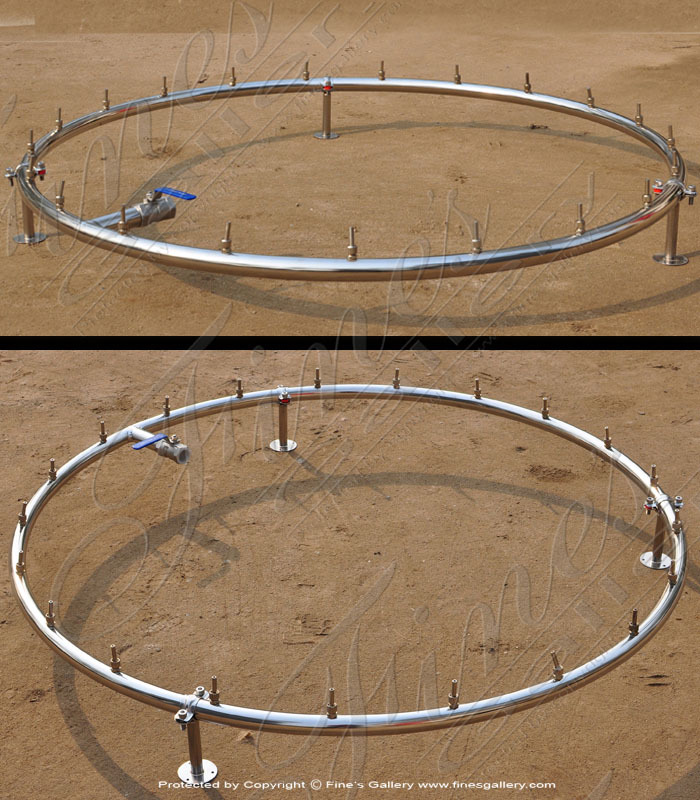 Stainless steel circular water spray ring for beautiful water effects for outdoor or indoor fountains or pools. Features stainless steel construction, 57 precision crafted nozzles and 180 inch diameter ring. Stainless steel circular water spray ring for beautiful water effects for outdoor or indoor fountains or pools. Features stainless steel construction, 46 precision crafted nozzles and 144 inch diameter ring. Stainless steel circular water spray ring for beautiful water effects for outdoor or indoor fountains or pools. Features stainless steel construction, 38 precision crafted nozzles and 120 inch diameter ring. Stainless steel circular water spray ring for beautiful water effects for outdoor or indoor fountains or pools. 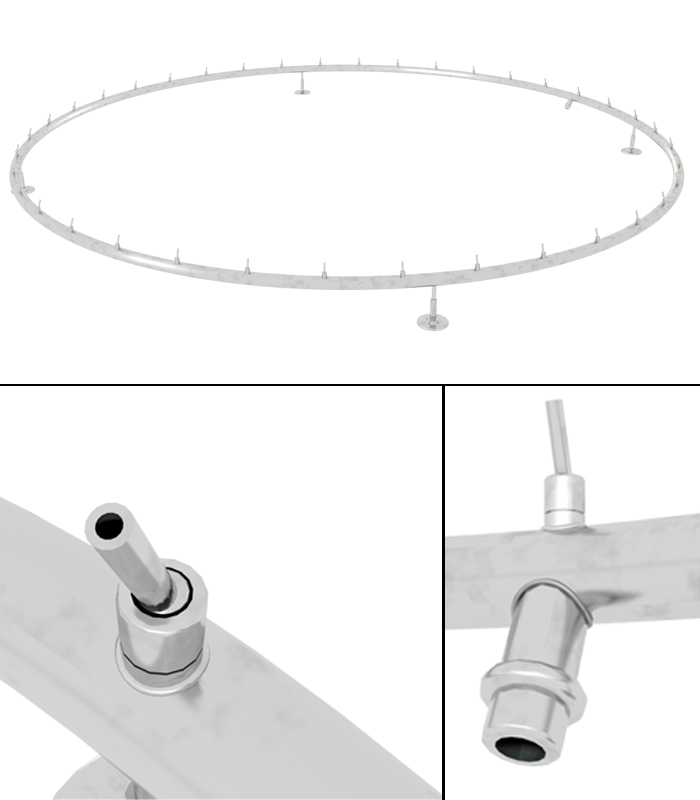 Features stainless steel construction, 34 precision crafted nozzles and 108 inch diameter ring.